Disasters usually mean destroyed or impaired terrestrial infrastructure AND an exponential increase in the need for good communication. There will always be disasters: hurricanes, earthquakes, tsunami, floods and even terrorism. In every case, the first thing emergency responders need, is communication. Communication with each other, and communication with the rest of the world. National and international relief agencies will always head to a disaster zone, but often airports and roads have also been damaged or blocked, and much needed equipment, including communications equipment, can sit around for days or weeks before it can be transported to where it is needed. Meanwhile local first responders are hampered by lack of adequate communication facilities. Terrestrial communications infrastructure, which is essentially linear in nature, relies on the whole network remaining intact. 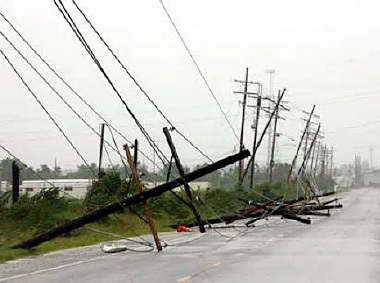 One downed pole can cutoff an entire area. In rural areas, cellular networks are similarly affected, in urban areas, fallen towers cause overload on the remaining towers, also severely hampering communications. Satellite systems, on the other hand, are much more resilient. 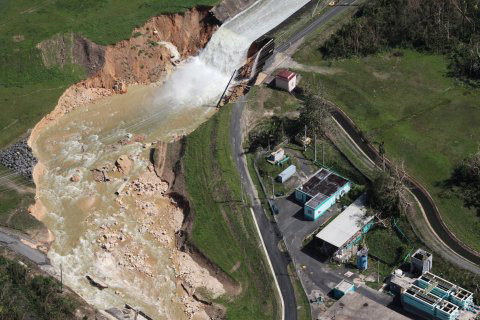 Satellite systems are the only communication networks not impacted by terrestrial disasters. The second point in the network is 22,000 miles above the earth: impervious to destruction on the ground. Unlike terrestrial infrastructure, satellite communications are enabled with the flip of a switch, providing instant high capacity bandwidth wherever needed. Advance planning is the key to successful disaster management. Strategically integrating satellite communications into the every day communication infrastructure provides continuity of operation and the ability to immediately respond when disaster strikes. Having satellite systems in place as part of the infrastructure prior to a disaster reduces response time and saves lives. At a very minimum satellite should be incorporated into network design to provide full redundancy in the event of failure. Rural areas in Puerto Rico and most places in Cuba, where many schools and hospitals lack good connection to the Internet, satellite could also be used to provide that connection on an ongoing basis, meaning that the equipment will be installed and used to best advantage. Geostationary satellites can be used for the full range of communication services – from emergency broadcasts, to connection to the Internet and cellular backhaul. C-Band is particularly resilient, as it is not impacted by heavy rain. © Campo Rico Group, Inc. All rights reserved.